The members of American Football formed in 1997 as students at the University of Illinois, and released only one album and an EP before breaking up about three years later. Their critically acclaimed debut went on to achieve cult status as one of the most influential records of the ‘90s, and was reissued as a deluxe double-LP last year. In this episode, Mike Kinsella, Steve Holmes, and Steve Lamos of American Football break down the first song they wrote together, “The One with the Tambourine,” from their self-titled EP. They talk about being influenced by the Chicago music scene of the ‘90s, and how they combined alternative tunings, unconventional time signatures, and naiveté to craft their sound. 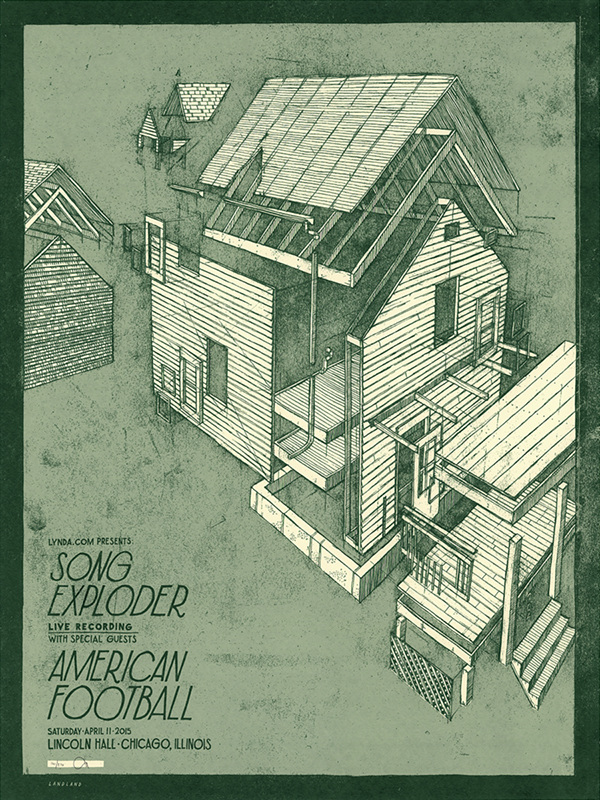 Buy “The One with the Tambourine”on iTunes, or directly from American Football on their bandcamp page. The good folks at Landland designed a limited-edition, silkscreened poster for the live event where this episode was recorded. You can order your own copy here.